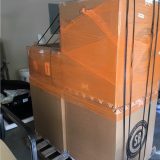 Since Lucy and I arrived we’ve been waiting patiently for the 50 gallon brew system to be delivered from Spike Brewing Company, as well as the two fermenters from SS brewtech and of course malt, hops and yeast! Day after day each part of the 1BBL pilot system began to arrive…basically Christmas was happening everyday! There was a lot of work to put the system together and a few late nights, but it sure was worth it! Hops and Props was an awesome festival in Peachtree City, both for the brewery and for me personally. 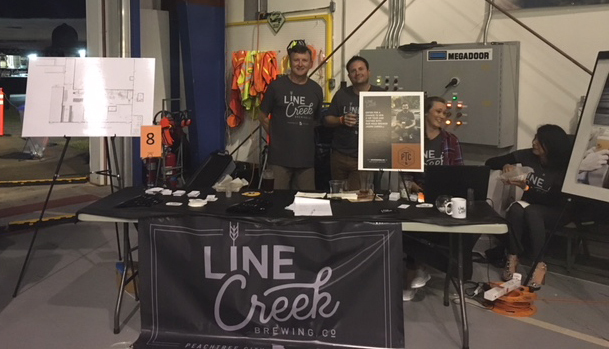 The beers that I had were excellent but the most rewarding part was meeting all the festival goers and chatting to them about Line Creek Brewing Co. People’s enthusiasm and support was incredible and it was something that we at Line Creek Brewing Co. fed off of. Thanks to all who came out to show us some support. I initially had to do a water brew…this was to ensure that the system was operating the way it should, as well as confirming it was airtight. A few rolls of teflon tape (PTFE) later and we were good to go! Some of the paramaters of any new brewing system are always unknown at the start such as the efficiency, evaporation rate, liquid lost to equipment etc. For these I had to make an educated guess! I was really excited about this one…our DIPA. The malt bill for this beer was very similar to our IPA but with the addition of some dextrose monohydrate for a softer sweetness. There was a lot of grain in this one…lots! We wanted this beer to be more of a NEIPA which are typically soft on the mouth-feel as well as being hazy and hugely aromatic amongst other things. To achieve this we’ve used the Vermont Ale yeast which ferments slowly at low temperatures but also produces esters of peach and apricots. As well as those amazing attributes it produces a pretty prominent haze! Just like the first brew, this one went pretty smoothly and I was really pleased. Saisons are one of my favorite styles. Hugely versatile and incredible when barrel-aged. This is a recipe that I’ve recently won a bronze medal for at the International Beer Challenge, 2017 in London. Breweries from all over the world enter this competition on a yearly basis, including breweries from the U.S. 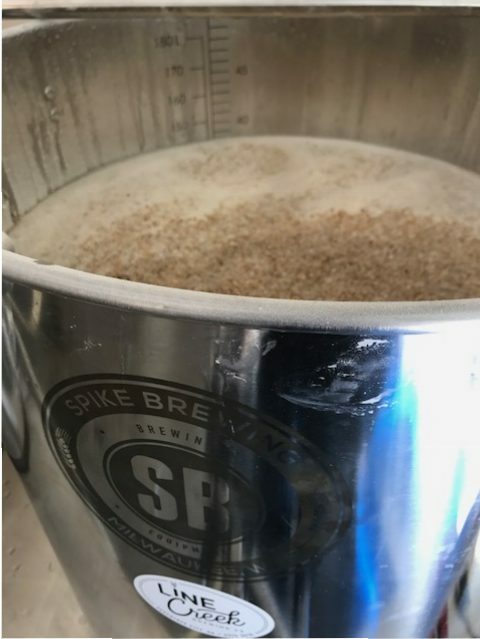 The beer is designed around the White Labs version of the Saison Dupont yeast that provides spicy esters as well as some mild clove/banana tones. 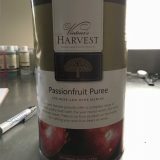 Couple that with the aroma and flavor of passionfruit and you’re on to a winner! The style Is typically highly carbonated and is really refershing year round. Up next to be brewed will be our Blonde ale, All day breakfast stout and Session IPA….just gotta keg all these beers first! Tasters at the ready! I really enjoy your blog. 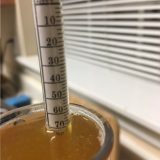 I’m a home brewer and love to read about the process you go through and the beers that you are working on! I’m anxiously awaiting for you boys to open the doors. Hey Heather, thanks so much.. Lucy says hi! That’s really cool.. if you keep reading i’ll keep them coming! Hello Jason. I’m a huge fan of citra hop and am looking forward to tasting the DIPA. Welcome to Peachtree City. Hey Maximiliano, it’s an awesome hop.. there’s a reason why it’s so popular.. it just smells so good! These sound great – can’t wait to try them! Thanks Corey.. putting the finishing touches to them this week.. gotta go get those kegs ready now! Looking forward to trying the saison, one of my favorite styles to brew and drink. 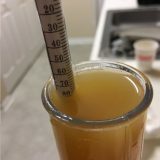 Glad to see its on the lower-mid end of the gravity scale as a high alcohol “farmhouse” beer just doesn’t make sense to me. 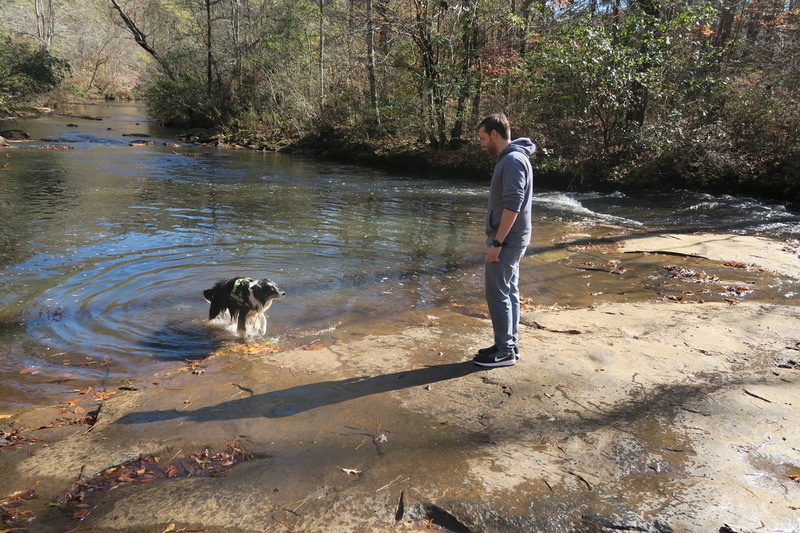 Enjoy seeing the pictures with your dog at Line Creek, I’ll probably run into you there sometime. Hey Greg, yep.. I’m with you on that one. The higher ABV versions have their time and place but in general the low-mid range is where it’s at for me. Absolutely Dan.. Won’t be too long now! Thanks for bringing a brewery to Peachtree City! I’m glad to hear some news about the beers. The IPA recipes sound great with Mosaic, Simcoe, and El Dorado. I can’t wait for The All Day Breakfast Stout as that sounds pretty awesome! Its hard to find dark beers with less than 10% these days. I love Porters, Black IPA’S, and Stouts. The more dark roasty malts the better. I’m right there with you Zach, we’re really excited for all the beers and the first three that are on trial are turning out great. The All day breakfast stout is going to use locally roasted coffee and fresh vanilla pods as well as a tun of oats! Nitro naturally!! Hey Jason! I’m the Craft Brand Manager for Lagrange Grocery Company. I have really enjoyed reading your blog!! Super excited for you and all the guys! Can’t wait to meet you and DRINK SOME BEER!